ABERDEEN, Scotland, August 15, 2011 (ENS) – The oil leak began on Wednesday, on a flow pipeline system that serves the Shell-operated Gannet Alpha platform in the North Sea. But UK authorities say that Shell did not report the leak until Friday and by then more than 200 tonnes of oil had entered the sea. “It is not easy to quantify the total volume spilled but we estimate so far that it is around 216 tonnes (1,300 barrels),” said Glen Cayley, technical director of Shell’s exploration and production activities in Europe. “This is a significant spill in the context of annual amounts of oil spilled in the North Sea. We care about the environment and we regret that the spill happened. We have taken it very seriously and responded promptly to it,” he said. Personnel on the Gannet Alpha platform are safe and the platform continues to operate. The sheen of oil on the surface is half a square kilometer in size. Shell says the spill is a light crude oil mixed with some hydraulic fluid. “Current estimates are that the spill could be several hundred tonnes,” he said. “While there are inevitable difficulties verifying the extent and size of the leak, it’s vital that Shell and DECC make information available on an open, transparent and regular basis,” said Lochhead. A standby vessel, “Grampian Prince,” remains on station monitoring the area, with oil spill response equipment and dispersant available if required. Shell’s emergency response team remains in place and the company says its personnel are working with the relevant authorities – DECC, MCA, Marine Scotland, and the Scottish Government – to manage the incident and minimize its environmental impact. “RSPB Scotland is ready and willing to offer its advice on how best to protect seabirds at risk, but we cannot do this without monitoring by the relevant agencies and sharing the details of what this monitoring has shown,” Housden said. “It is Shell’s responsibility to keep the public and stakeholders informed, especially in a crisis such as this, but I fear the longer we wait to hear about what is really happening from Shell, the more chance there is that we will never actually know the truth as Shell’s PR machine goes into overdrive,” said Swann. Greenpeace UK has also expressed concern about the lack of information about the spill coming from Shell. 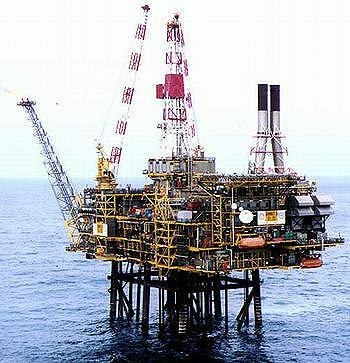 The Gannet oil field reportedly produced about 13,500 barrels of oil per day between January and April of this year. The field is co-owned half-and-half by Shell and Esso, a subsidiary of U.S. oil firm Exxon, and is operated by Shell.